Zakynthos beaches are famous for their natural beauty and their exotic emerald water. Zakynthos beaches are famous for their natural beauty and their exotic emerald water. The most famous is the wonderful Navagio Beach (Shipwreck), which has soft white sand, turquoise waters, impressive cliffs around it and can be visited only by boat. Other beautiful beaches in Zakynthos are Gerakas, Agios Nikolaos, Kalamaki, Tsilivi and Spanzia. 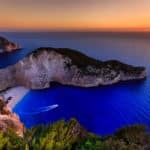 Most Zakynthos beaches on the eastern side of the island are organized, while the beaches of Zante in the western side are secluded. 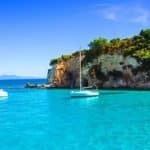 You will find below a list with the best beaches in Zakynthos island. Porto Zoro Zakynthos: Porto Zoro beach is located 17 kilometres from the capital of Zakynthos and offers visitors a unique swimming experience at a peaceful environment away from the noisy crowds at the centre of the island. A couple of taverns and some rooms for rent can be found behind the beach. This beach has beautiful crystalline waters and lush green surrounds that impress every visitor. It is definitely one of the finest examples of the island’s natural beauty. Impressive rock formations emerge from the sea creating an exotic setting and charming scenery. The beach is dominated by a large hotel where several tourist facilities are found on the grassy area. Spianza Zakynthos: Spiantza is a lovely beach located 16km south of Zakynthos Town. 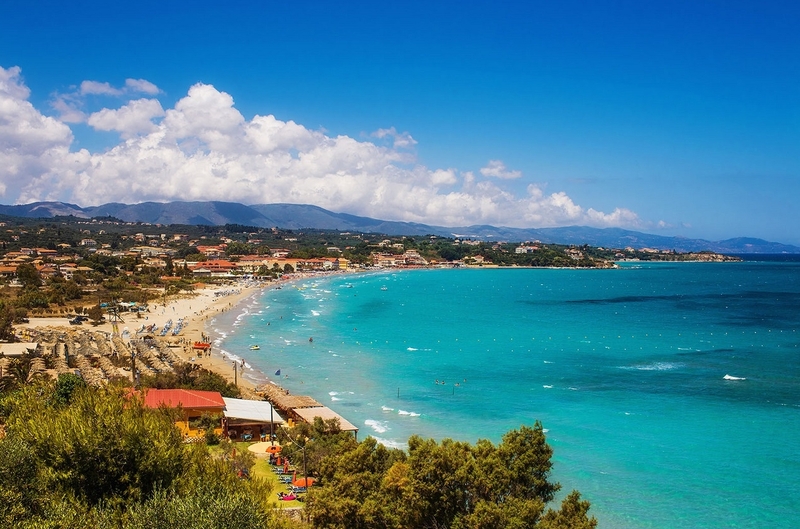 It is one of the longest beaches you will find on this Ionian island with soft sand and small pebbles. Along the beach there are several beach bars and cafeterias as well as tourist facilities like free umbrellas and sundecks for a perfect relaxing day under the hot sun. A water sports center lies at the center of the beach offering various activities for all ages. Spiantza is surrounded by a huge lush green area and vast plantation. The crystal waters are clean and calm, quite safe for the children. The large size of the beach allows many beach games, like beach volleyball. 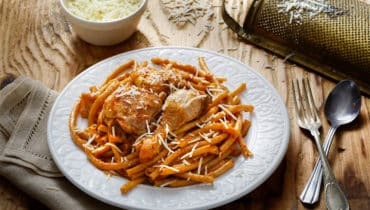 Spiantza is well-organized with sunbeds and umbrellas, toilets and a couple of cantines. The beach is easily accessed from the main road and there is plenty of space for parking. The beach combines leisure and amusement in a unique way. 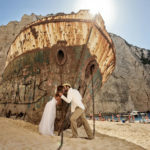 Zakynthos Keri and Limni Keriou: Keri is a small and quiet resort situated on a wonderful bay with golden sand and turquoise shimmering waters, and can be found in the southern part of Zakynthos. 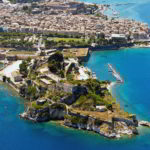 A couple of taverns and cafe-bars are scattered along the bay from which one can enjoy an amazing view over the islet of Marathonisi. 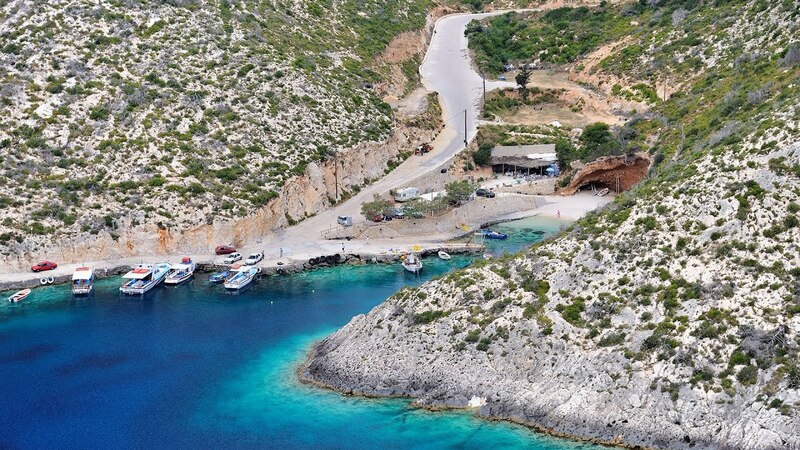 The small picturesque port of Keri offers organized boat tours to the fantastic Blue Caves. Tsilivi Zakynthos: Tsilivi is one of the most popular resorts in Zakynthos located 6 km west of the main town. Due to the developed tourist infrastructure, the area attracts many visitors during the summer season. Luxury hotels, apartments and studios as well as restaurants, bars, night clubs, shops and taverns are available in Tsivili for all tastes and budgets. It mostly receives British and Italian tourists. The main beach is quite long and plenty of tourist facilities are available in the golden sand. The beach here is very busy with families nd many young people who stay in the area until the late hours. It is mostly characterized by the its clear and pure waters and water sports facilities. Gerakas Zakynthos: Gerakas is considered one of the most attractive beaches of Zakynthos for its turquoise waters and unique unspoilt features. It is located 18 km south of the capital and it offers a shelter for the the endangered sea turtle Caretta-Caretta. The sandy beach of Gerakas is a much preferred for swimming and sunbathing. It is actually a large cove with crystalline waters and golden sand. Some rock formations are scattered on the seashore offering a feeling of protection and isolation. 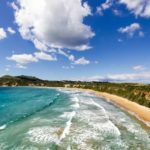 The beach of Gerakas is one of the finest examples of the enchanting landscape and the natural beauty that characterize the island of Zakynthos. There is free parking before you follow the path down to this idyllic beach.